Nowadays, whenever there’s a news story about Kodi, it’s fairly safe to assume that it’s about copyright infringement. But now Kodi has revealed that it is facing a similar battle of its own. According to a blog posted posted on the Kodi website, “trademark trolls” are trying to capitalize on the Kodi name by illegitimately claiming the trademark for Kodi in countries outside of the US. Now Kodi seems to have a plan, that involves directly name-checking these ‘trolls’. While the blog post references a number of different people trying to make money off the Kodi name, there is only one that is ‘outed’ by name: Geoff Gavora. 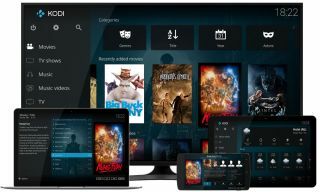 Geoff Gavora is the current trademark owner for the Kodi name in Canada, and has been using this to actively remove competing companies' Kodi boxes from Amazon. So if you buy your box from amazon.ca, chances are you’re helping to line Gavora’s pockets.